You can earn 499 yards with this purchase! 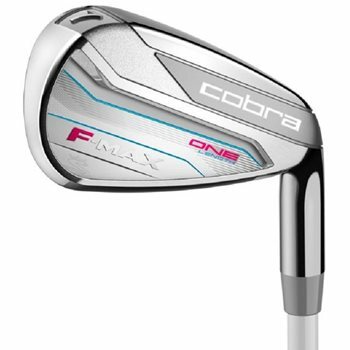 The Cobra F-Max One Length irons have been re-engineered for 7-iron weighting to deliver optimized trajectory and distance gapping from long irons to wedges. Speed and distance is improved in the long irons with a thinner, 17-4 stainless steel progressive head and the softer, 431 stainless steel in the short irons provide ultra-soft feel and precision. The CG is lower and back on each club for improved launch while a deeper undercut design creates more face flex for maximum ball speeds on off center hits. The set also features an offset hosel design that creates higher trajectory with draw bias for straighter, more accurate approach and nickel chrome plating for better aesthetics and durability.